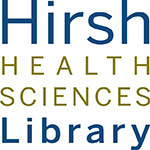 Welcome to the new HHSL homepage! Introducing: A New Contact Page! You may have noticed something new on our redesigned homepage. The images at the top of the homepage lead to resources to help different patrons on the Boston campus explore main topics of interest. Each portal contains information specific to the topic, and should be treated as a “getting started” guide. 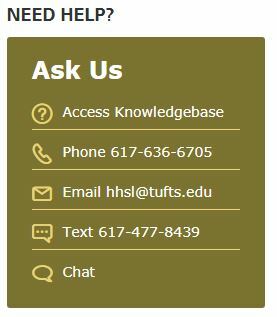 At the top of every portal is the option to search the Tufts catalog for books, journals and other resources – as well as search for course reserves. Explore the portals and let us know what you think HERE!